"Today we're launching face blurring -- a new tool that allows you to obscure faces within videos with the click of a button," said Amanda Conway, policy associate at the Google-owned video-sharing service. "As citizens continue to play a critical role in supplying news and human rights footage from around the world, YouTube is committed to creating even better tools to help them." Video editing options at YouTube were expanded to include a "Blur All Faces" button. People will get previews of videos with the blurred effects prior to deciding whether to publish them at YouTube. "This is emerging technology, which means it sometimes has difficulty detecting faces depending on the angle, lighting, obstructions and video quality," Conway said. "It's possible that certain faces or frames will not be blurred." 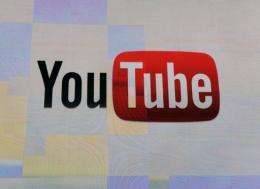 A Pew Research Center report this week indicated that news is rapidly becoming important as YouTube grows far beyond its roots as a stage for amateur videos ranging from silly backyard stunts to children and pets. Certain events like last year's earthquake and tsunami in Japan highlighted that point, the study found, with 96 million views of disaster-related news over a one-week period in March 2011. "YouTube is proud to be a destination where people worldwide come to share their stories, including activists," Conway said. "We hope that the new technologies we're rolling out will facilitate the sharing of even more stories on our platform," she continued. "Visual anonymity in video allows people to share personal footage more widely and to speak out when they otherwise may not." YouTube made Google the top online venue for US online video viewing in June, attracting approximately 154.5 million visitors who watched just shy of 18.3 billion videos, according to industry tracker comScore. According to the company's own statistics, more than 72 hours of video are uploaded to YouTube every minute. The site gets over four billion video views a day. does this mean youtube already had facial recognition on their video upload?